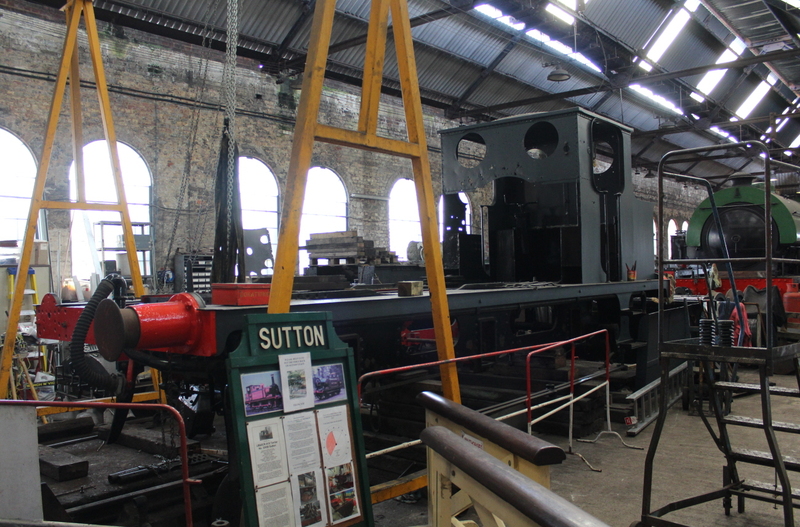 The Spa Valley Railway boasts something that is a little unusual – an original engine shed. Indeed it is the only original LB&SCR steam shed still in operation. 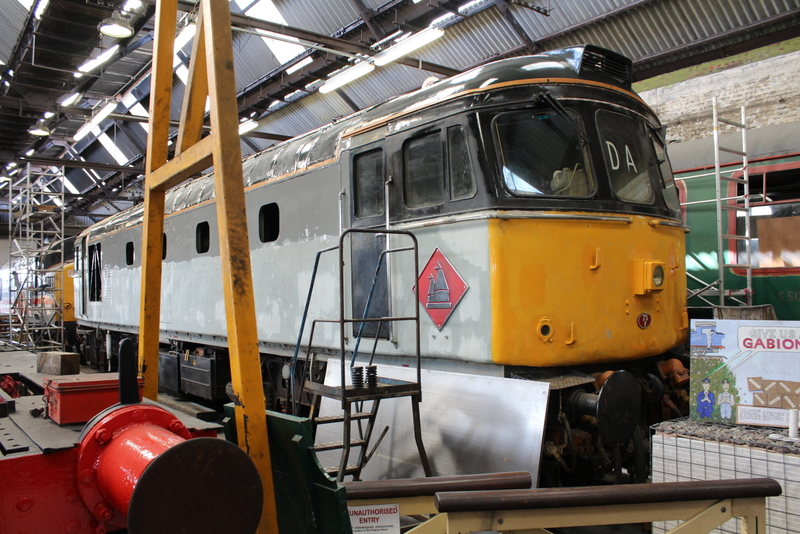 Some of the locomotives based on the railway proudly wear their 75F shed code, as can be seen on the front of the class 33 pictured above.
. Unfortunately, unlike my previous post-Christmas ride on the line, this visit was very brief to say the least, but gave just enough time to see progress on the overhaul of A1X Terrier tank engine 32650. Sutton was a familiar sight and sound when I was growing up. I could hear it sometimes chuffing with it’s dog like bark up Tenterden Bank from my school and even on rare occasion (if the wind was blowing the right way) from home that was around five miles away. 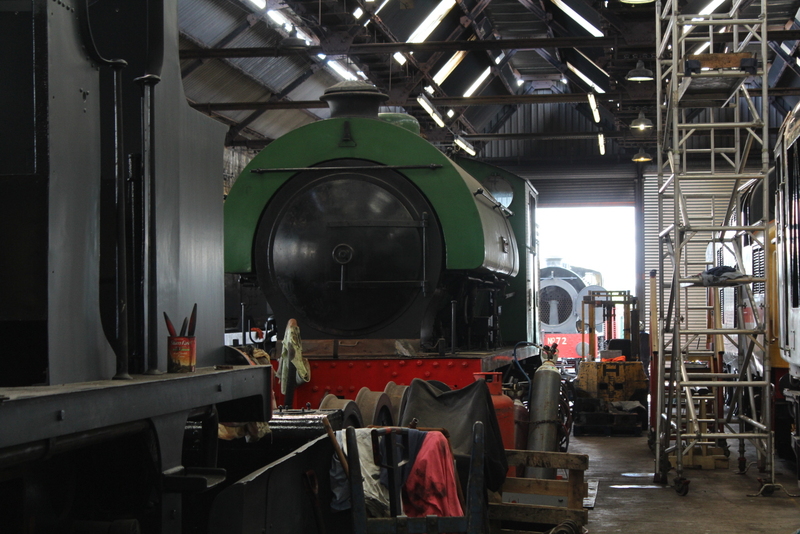 At the time it was the Kent and East Sussex Railway’s only working A1X Terrier tank engine, but it has since moved to Tunbridge Wells where its overhaul is progressing. Beyond Sutton was 0-6-0ST RSH no 62 Ugly and just outside the engine shed, visiting Vulcan Austerity number 72. 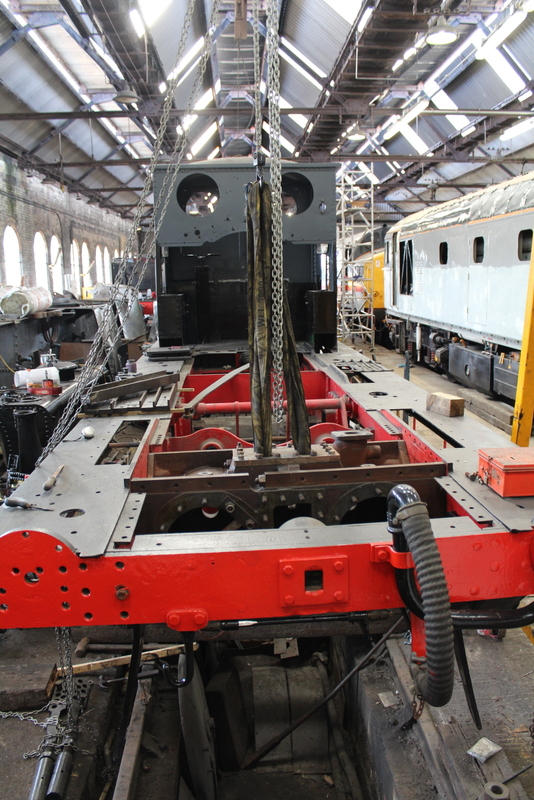 Details of progress of overhauls, repairs and other works carried out at 75F can be tracked by following the railway’s loco department Facebook page, that is regularly updated and well worth liking (click here). 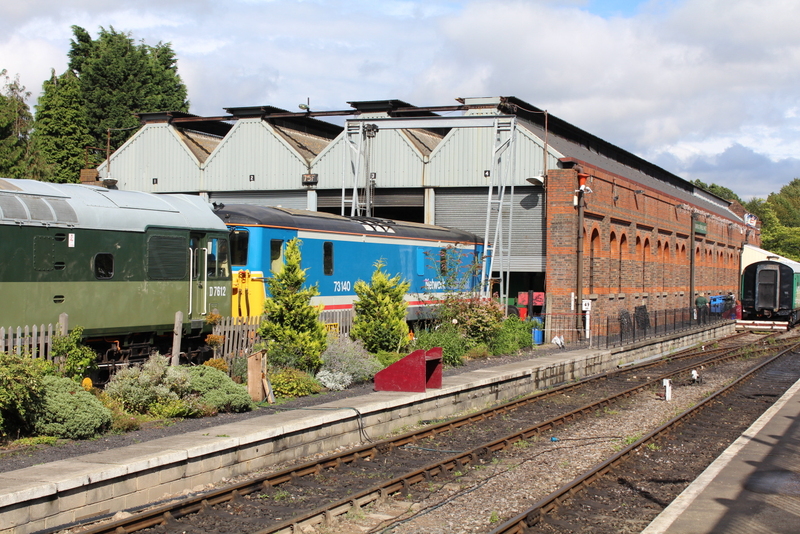 01/09/2015 in Spa Valley Railway. It’s good to see pictures of poor ‘ugly’. What a name! Indeed and in my opinion quite unjustified!